OWN is a MOBA / Brawler crossover where the aim is to crush your enemies in super-quick deathmatches! You can play in 1v1, 2v2 and 3v3, picking among 6 heroes and on several maps! 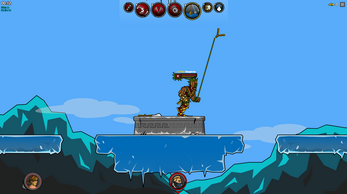 A practice mode is included, so that you can get used to your hero and the game mechanics without any stress. 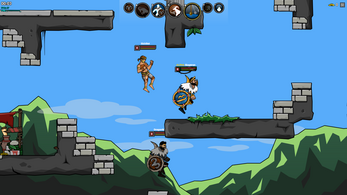 Heroes have a wide range of skills, from teleport to time-slowing abilities, multiple weapons and deep gameplays. Find out the best synergies to defeat your opponents! Q, W, E, R for spells, space to jump, and arrows to move around. You can change the controls ingame (use the Esc key to display the settings menu).